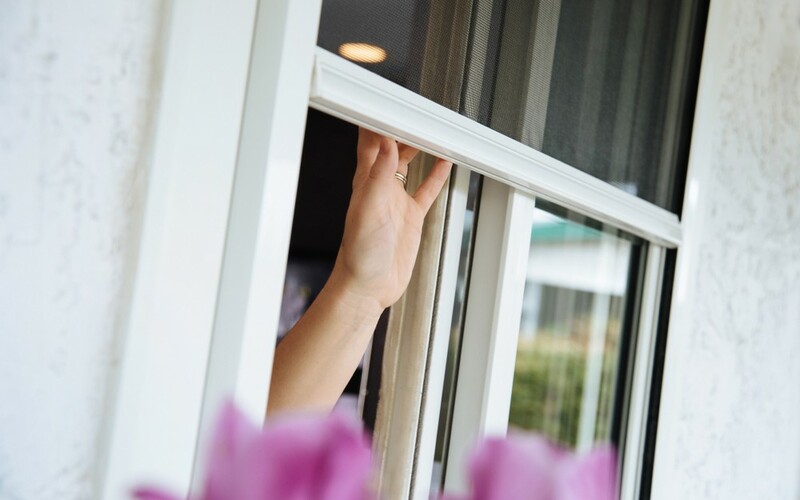 We build window screens in-house and partner with top industry leaders to provide you with screens and storm doors to keep drafts and insects out of your home. 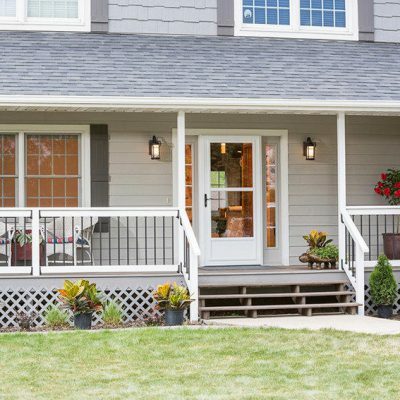 Whether you’re looking for a sliding screen door, a pet door for the newest member of your family, or a storm door to protect your house from the northwest’s winter weather, we have a style and design to match your taste, specifications, and budget. 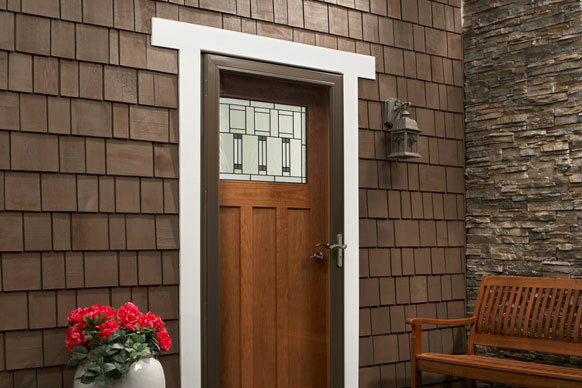 Let us help you select your next screen or storm door. 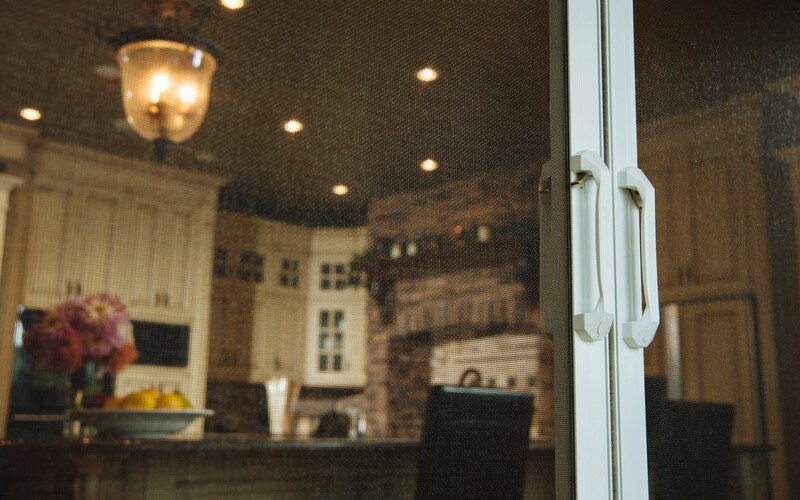 In our local shop, we custom-build aluminum-framed screens to perfectly match your window frame size and color. 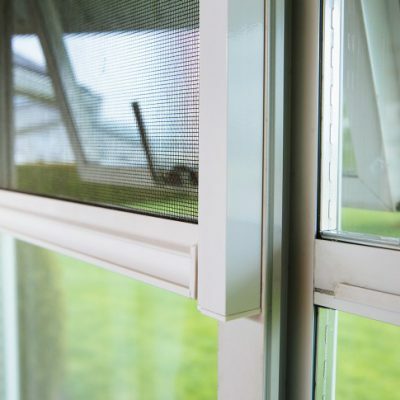 And, if you have old screens with torn or worn out mesh, we can replace the mesh in your existing frame, saving you money. 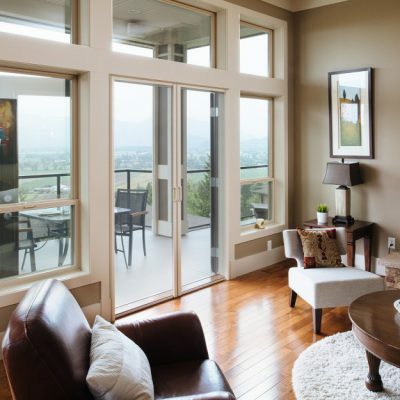 Don’t let your screens get in the way of your view. 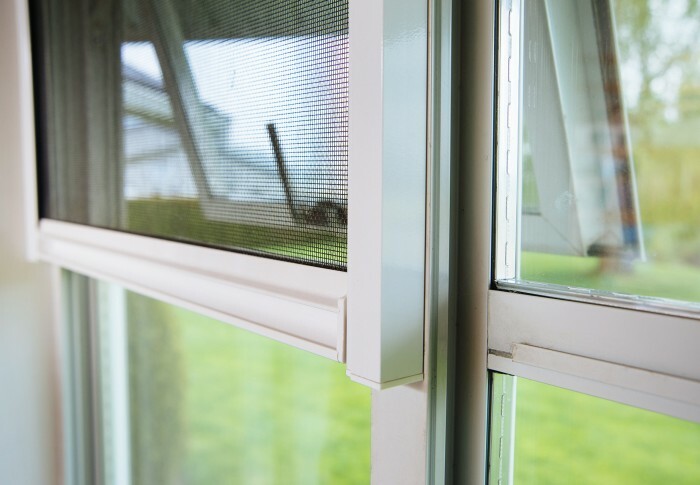 If you don’t like looking through screens all the time, or you enjoy full ventilation, consider a retractable screen for windows or doors. 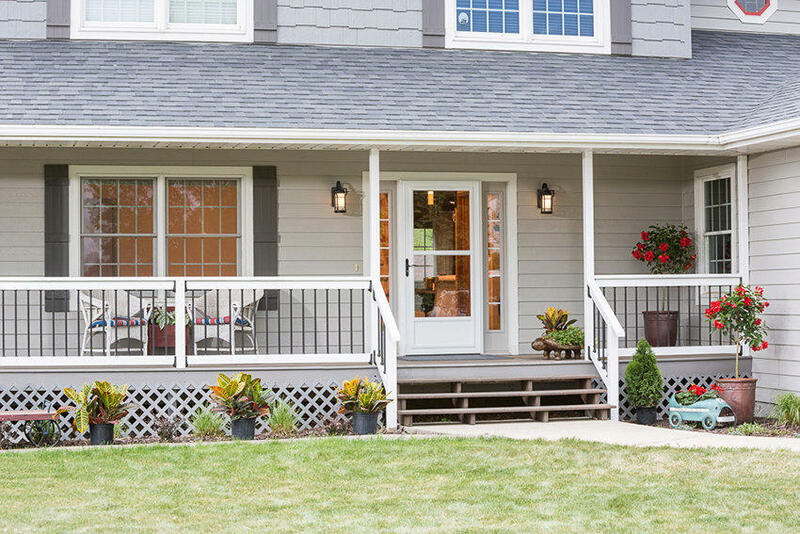 A retractable screen would be ideal for a beautiful front entry that you don’t want to obscure with a standard storm door. 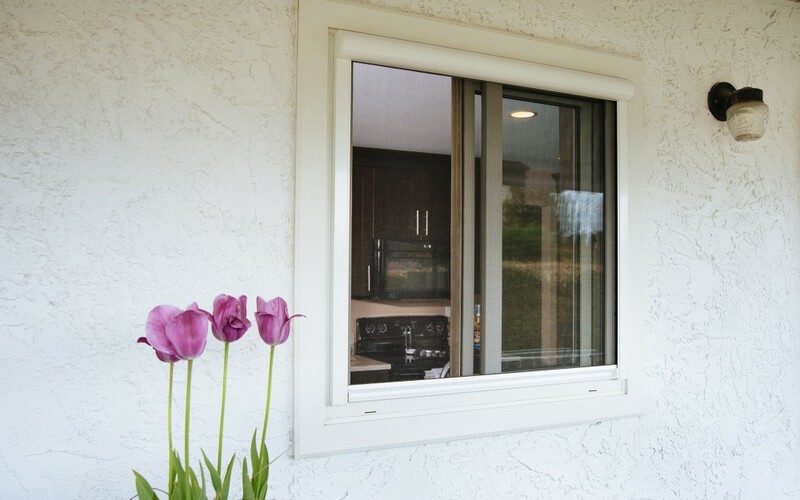 We’re happy to carry the Serene retractable screen. 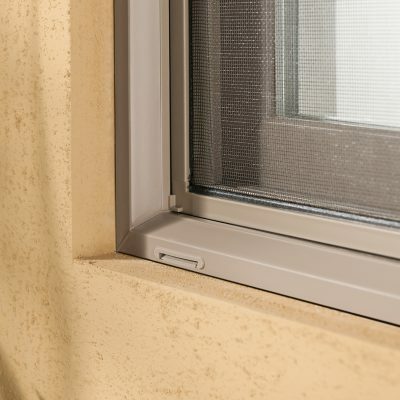 Made by Phantom, it can quickly be pulled into place when needed, and hidden out of sight the rest of the time. 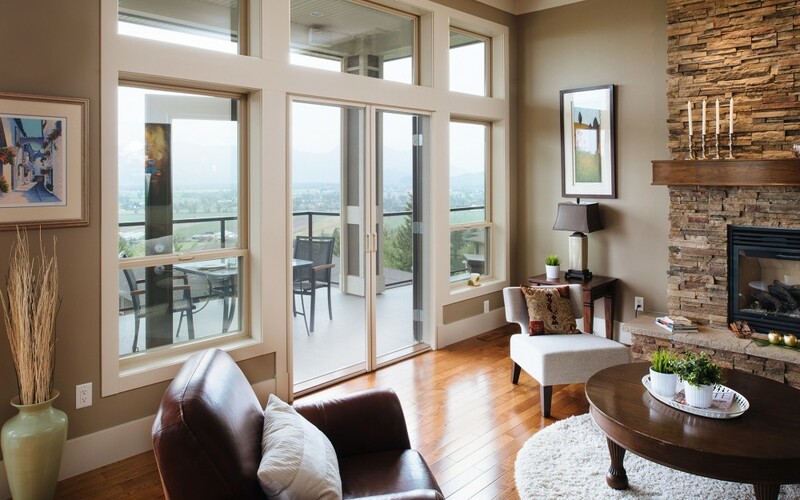 And, if you love an indoor-outdoor lifestyle, we thought you might like to know that we also carry and install the Executive Screen screened walls. 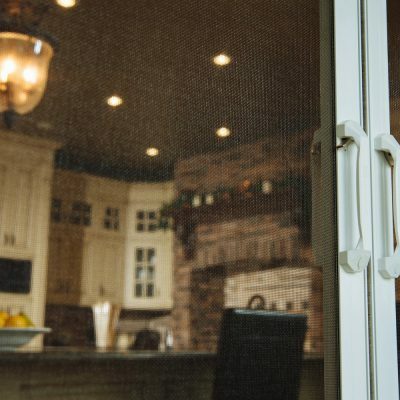 The Executive Screen can quickly transform a space; a covered summer patio easily transitions into a three-season screened-in room. 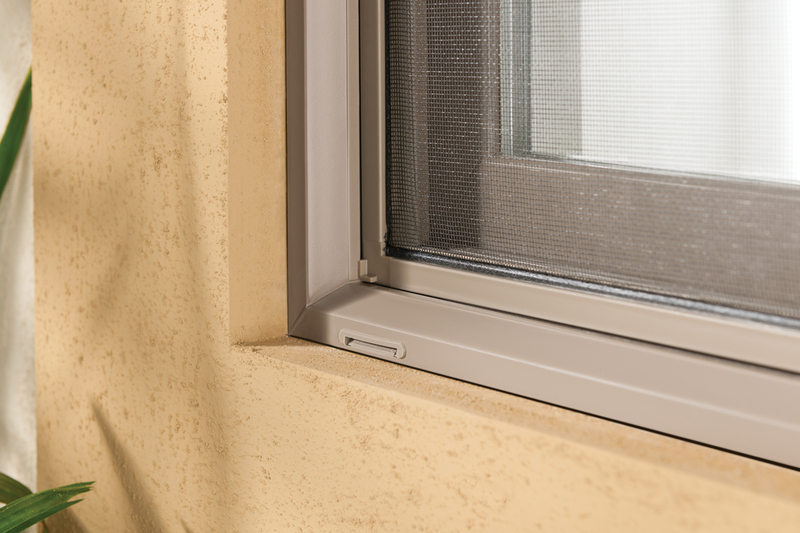 And, different meshes allow you to customize sun versus shade. 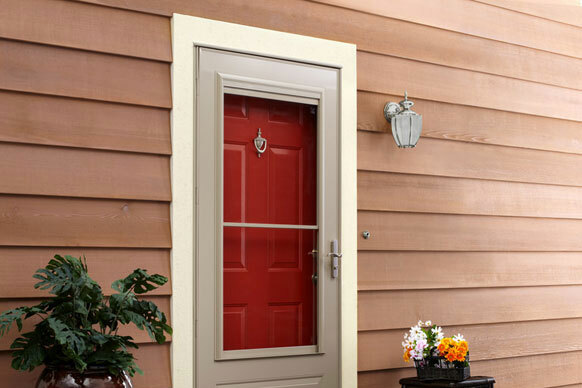 Storm doors are additional outer doors traditionally used to protect your home during bad weather. 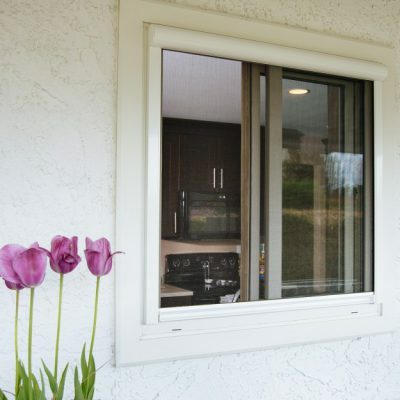 They are typically made of aluminum, wood or fiberglass, and often have interchangeable screen and glass inserts. 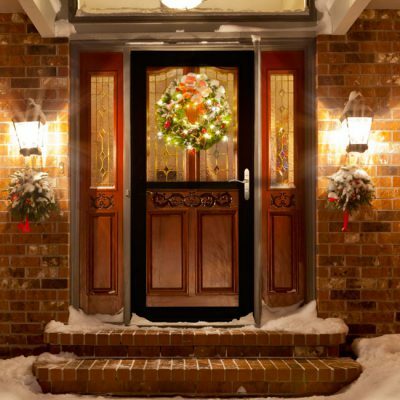 Storm doors reduce energy loss up to 50% by reducing air leaks around your door and creating an insulating air pocket. 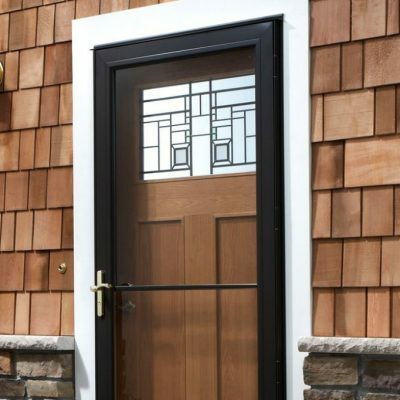 Storm doors protect your entry door from damage caused by extreme weather events, and prevent water from leaking in. 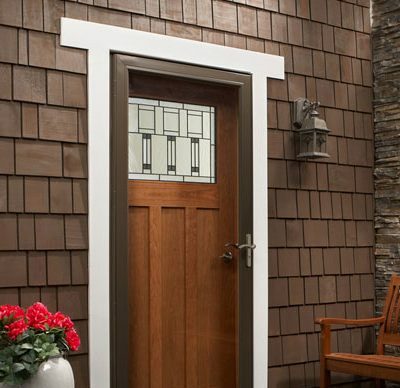 Storm doors add an extra layer of security against break-ins and bring you peace of mind. 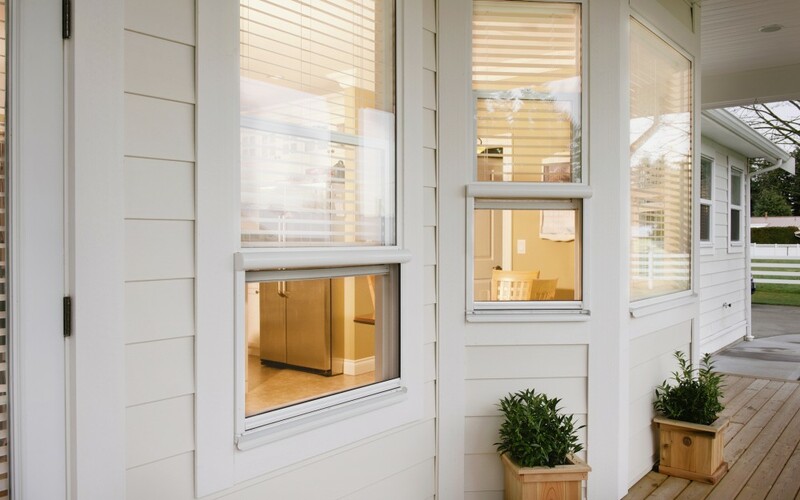 Built-in screen options allow you to open your home to a fresh breeze while maintaining security. 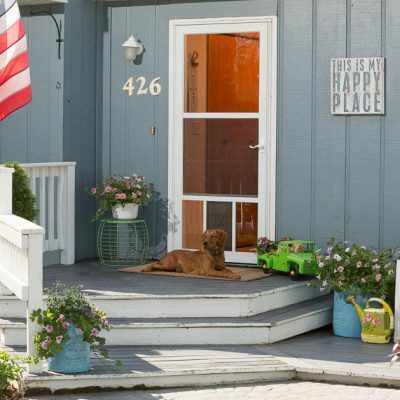 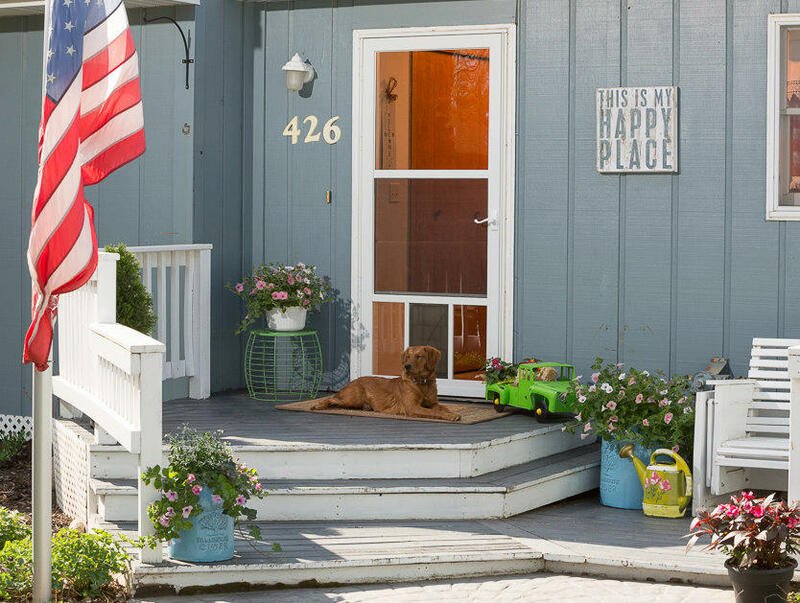 Our storm door options include models with built-in pet doors for your indoor-outdoor pet. 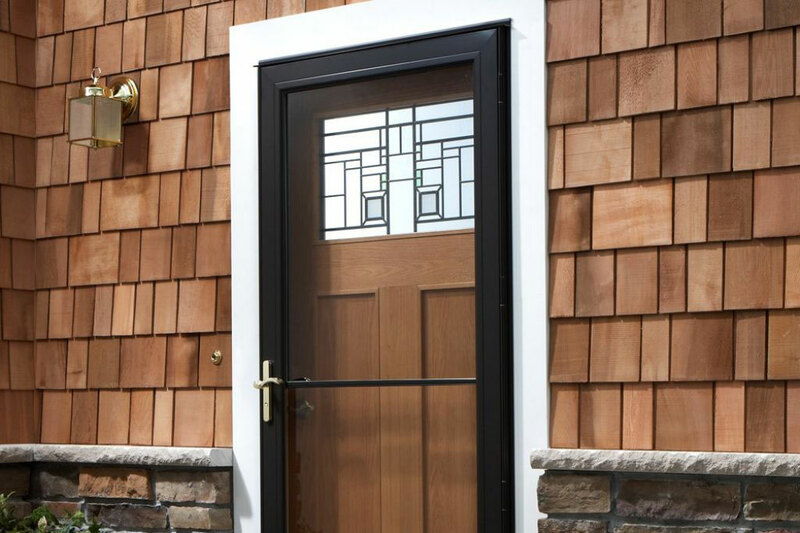 Let our knowledgeable staff help you select and install your storm door. 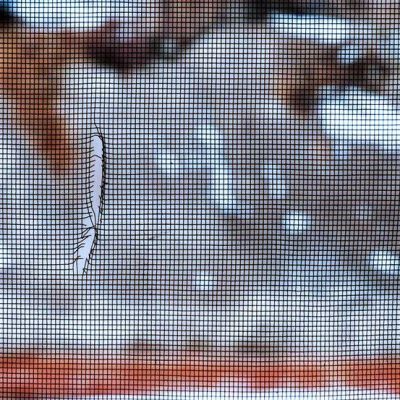 If you have old screens with torn or worn out mesh, we can replace the mesh in your existing frame, saving you money. 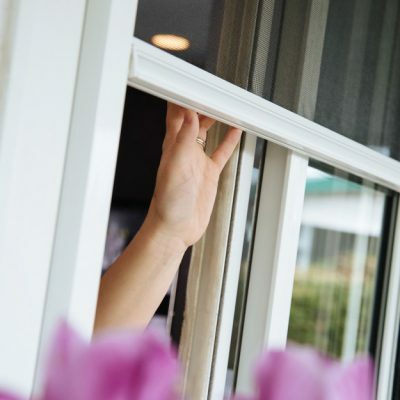 At your convenience, bring your screens by any of our locations, and we will repair them with care. 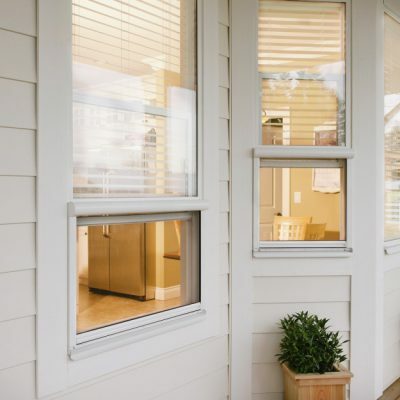 Why come to Lyndale for screens and storm doors? 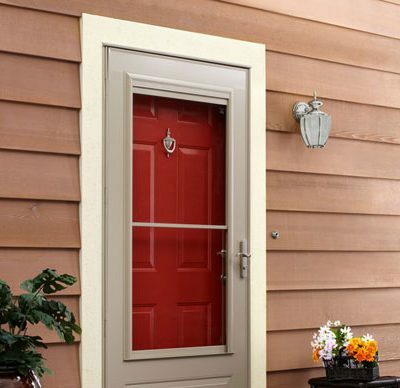 Hundreds of options to customize to fit your home or business. 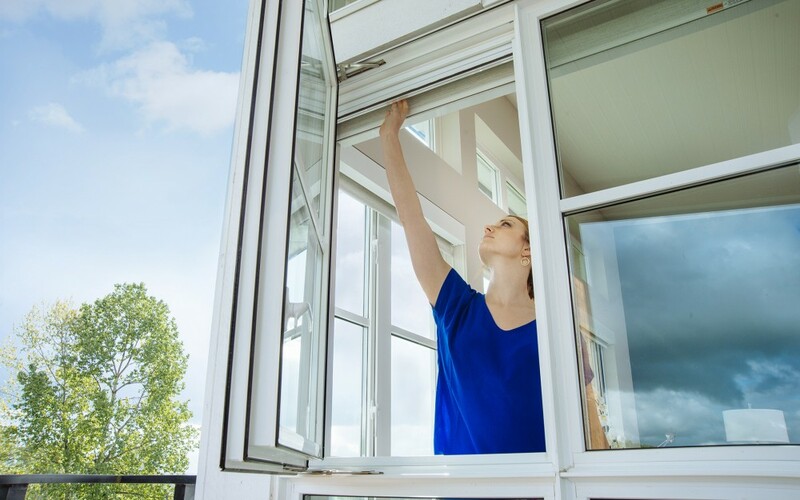 We'll repair your screens, extending their life and reducing the need to buy more.